So what is career guidance counselling? To answer this question we need to look at the three distinct but interlocking elements of the role of a career guidance counsellor. These are individual personal counselling; educational guidance; and career guidance. Individual counselling is an essential and integral part of the school's educational provision. Counselling facilitates the individual student to realistically examine their abilities, interests, needs and worries in order to make appropriate life choices and achieve personal happiness and fulfilment in society. Personal counselling in Coláiste Choilm is undertaken by Ms Burke (Guidance Counsellor), Ms Farrell (Chaplin) and Mr Hynes (Psychotherapist). Students can self-refer to access counselling, or may be referred by a teacher, tutor, year head, parent, home-school liaison, principal or vice-principal. Referrals can be made to outside counselling services such as Jigsaw and CAMHS. Educational guidance is developmental in nature - it includes assistance in the areas of subject choice, study skills and motivation in general. In first year this involves a study skills event which is held in September. Later, first year students are provided with classes and, where necessary, one-to-one meetings with the guidance counsellor regarding subject choice for the junior cycle. Third year and transition year students are facilitated with classes on subject choice, a parents evening, and individual meetings to discuss their senior cycle subject options. Differential Aptitude Tests and Interest Profilers are administered in third year to help students to make informed subject choices based on aptitude, ability, interest and career aspirations. Career guidance is an on-going process which informs students, and encourages them to avail of the opportunities relevant to their individual situations. Elements of this programme include careers information management, decision making skills, job search skills, interviews etc. Although this work begins in first year with reference to career guidance in subject choice, most career guidance work is undertaken in the senior cycle years. Leaving Certificate students, in particular, use one to one meetings to discuss their career plans; make applications to PLC colleges, UCAS and CAO; make job applications; apply for SUSI grants; apply for the Disability Access Route to Education (DARE) or the Higher Education Access Route (HEAR). Classes are provided in sixth year to explain the career guidance process, and the various routes into higher and third level education. In addition, fifth year students can avail of the opportunity to attend a University/Institute of Technology/Teacher Training College open day in October, and Leaving Certificate students can avail of the opportunity to attend a career exhibition in September. Transition Year students engage in self awareness for careers as part of the TY programme. As with personal counselling, to avail of the educational or career guidance services in the school students may be referred by parents, teachers, year heads, tutors, the home school liaison, the principal or vice-principal, or indeed students can self-refer by presenting to the career guidance counsellor. Career guidance process: It is important to recognise that developing a career direction is a process, not just a destination. One cannot sit down one evening to “decide” what to do. It takes a lot of research on behalf of the student, the majority of which should be self-directed research. Discovering your preferences, your likes and dislikes, your personal characteristics, your skills and qualities, your aptitudes, what it is that you get a kick out of etc. are so important for making career decisions. So before you ever pick up a college prospectus you need to know what you are about and what you are looking for. 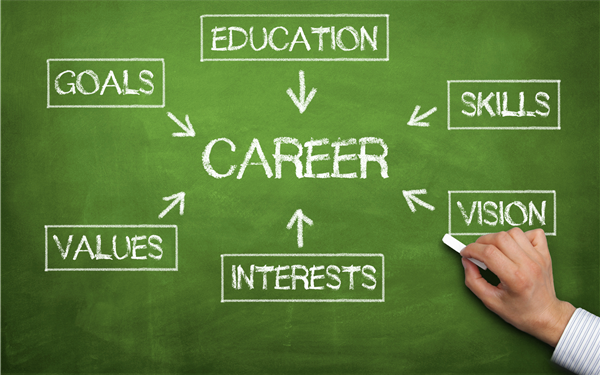 Career guidance helps students to focus on themselves and the opportunities available to them, and helps students to gain a greater sense of direction in their careers, more success in transitioning into life roles, and a higher level of overall life satisfaction.